High tensile Polyethylene-coated cloth with a natural rubber and a synthetic resin adhesive. It is superior performance duct tape specially designed for the high demand contractor applications. 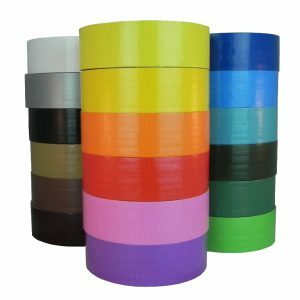 Best Duct Tape with excellent shear values to surface and backing. It has a good conformability and excellent resistance to tear. 3” neutral core/carton. ?11.8 mil, 63 mesh.